Everyday life is challenging when you sit down and think about it! Most of us are pulled in so many different directions, we need encouragement just to get through it all! That’s my reason for writing! I believe the best encouragement is Bible based. Since it encourages me, it stands to reason it will encourage you as well. I’m an inspirational writer and photographer who enjoys sharing the truths of God’s Word. Writing became my mode of ministry back in 1995. I was a stay-at-home mom to three boys, and homeschooling full time. After much prayer, I decided to start writing a monthly newsletter. After the first edition, my dear husband suggested I publish online. So began Words of Encouragement. The Words of Encouragement E-zine morphed into a full blown webpage, and a mailing list of subscribers. I honed my writing skills, while growing my Bible knowledge and wisdom. My ministry of encouragement spans over twenty years. Online since 1996, I write to inform, encourage, and inspire others to live a life pleasing to our Lord. I believe engaging others by sharing information and knowledge creates opportunities for life changing moments. Creating content that engages the reader is a vital aspect of my ministry and profession. People always wonder how writers know what to write! Despite writing in a variety of venues, the best stories come from personal experience. I’ve had lots of opportunities in that respect, just through life experiences! My husband and I adopted our children, experienced military life, served as caregivers for family members, raised a variety of pets, and minister to people wherever there is a need. I served three years in a Crisis Pregnancy Center, which was an absolute blessing! My original occupation was a hairdresser in a salon setting. Later I was cutting men’s hair in a military exchange. I changed occupations later on, choosing a secretarial position in a manufacturing environment. Later I switched my focus to work in a large church environment. These positions served me well, prepping me for a variety of church ministries. I have traveled extensively throughout the United States. In 2005, I graduated from the SUNY Empire State College with a Bachelor of Science in Business, Management, & Economics. Through the years, I have served as a Sunday School teacher, church administrator, church outreach director, Ladies’ Bible study teacher, certified Evangelism Explosion trainer, and pro-life counselor. My first book was called Homeschooling: The Modern Day One Room Schoolhouse. Back then, lots of people were looking for homeschool help. I self-published and made it available online. 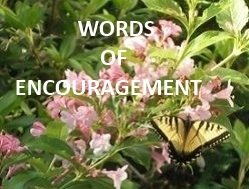 When I started publishing my website, I decided to offer my Words of Encouragement Recipes booklet as a give-away. It contained my favorite family recipes! I appreciate all those who helped me hone my writing skills! It was thrilling when I successfully completed Chris Baty’s 2006 National Novel Writing Course (NaNoWriMo). I finished my first and only fictional book so far, on deadline! When Elizabeth Bezant of Writing to Inspire published my story, Stretched to my Limits in her book, “Stolen Moments”, I was ecstatic! I went on to ghostwrite travel destination articles for her. Elizabeth was instrumental in helping me develop my writing skills. I took several of her writing courses on Udemy. I am also thankful for the writing skills I learned when I took Barnes & Noble University’s class “Thinking Like An Editor: How to Get Published” with Susan Rabiner and Alfred Fortunato. That book was very strategic in helping me understand the publishing side of writing. 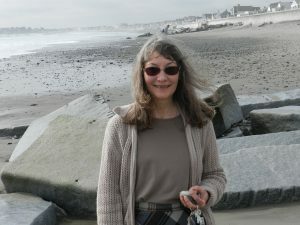 I took a course called “Writing for Quick Cash” by Loriann Oberlin. This course furthered my understanding of freelance writing and how and where to submit articles. I currently write children’s Sunday School curriculum on assignment for Union Gospel Press, and devotional articles for teen girls at Relate Magazine. God has well-equipped me for my life’s work of ministry through writing. Check out my Linkedin page for more info. My articles on a variety of topics have been published in Australia, Great Britain, and in the United States in Christian and secular publications and newsletters. These include: Priority Magazine, At the Center, Discipleship Journal-DJ Plus, Frontline Magazine of Fundamental Baptist Fellowship International, and Dollar Stretcher. I also contributed articles for Dabbling Mum, History’s Women, Priority Magazine, Simple Joy, Upper Room, and Cross & Quill. My specialty is in writing Bible-based articles and devotionals for Christian publications. I was a contributor for the Gospel Blog for Far East Broadcasting Company and for Tony Kummer with his Devotional Christian website. I also enjoy writing web content, travel articles, and how-to articles. My first car was a 1965 Mustang. So it was with great joy I learned my article about Ford’s limited edition Shelby Mustang GT500 KR was published! I can help you by creating your copy for your website, magazine, or whatever venue you need help with. I have experience in a variety of writing environments. Best of all, I like to help others succeed! I know how difficult it can be to find quality inspirational cards and gifts! I too have experienced the frustration of trying to find just the right card with the best sentiment. Then I discovered Zazzle years ago. The concept there is a personal store where I can create the products I would purchase. These products feature my digital photos and inspirational verse. Check it out at Words of Encouragement Designs. I have lots of custom products available to you. Everyone needs a card or gift of encouragement. Stop by and take a look! Loving God is my life’s quest! I am seeking Him in all things! Jesus Christ, my Lord and Savior, has touched every aspect of my life. I’m not perfect, but I am trying to please Him in all things. 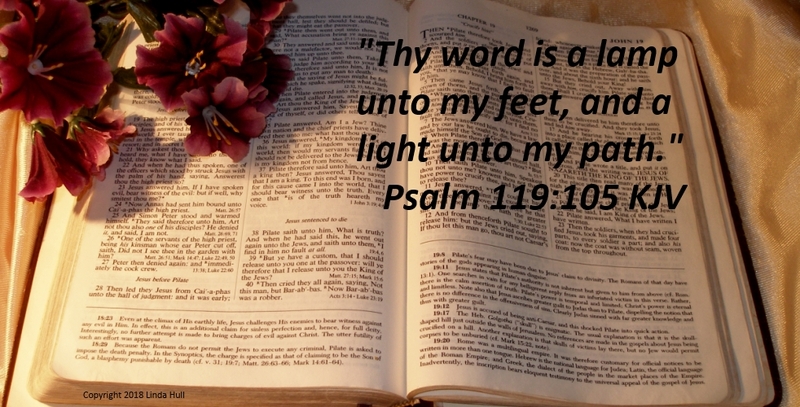 His Word, the Bible, is the standard by which I try to live and find encouragement! I seek to maintain a close personal fellowship with my Lord and Savior, Jesus Christ, and to serve Him as He directs. My desire is to be in the center of His will at all times. As we live out our daily lives, each must choose whom they will serve. It is my prayer that Words of Encouragement will encourage and exhort all of us towards a closer relationship with our Lord Jesus Christ through increased knowledge, understanding, and wisdom. May my writings provide the help and hope you seek. Sign my guestbook to share a prayer request, receive Biblical counsel, or discuss a writing project. There’s a place where you can leave a message once you click on the icon. Helping Believers find strength through their faith and love for Jesus and His ways is my passion and joy. Creating encouragement opportunities! I’ve learned the best and most reliable encouragement and instruction comes from the Bible. The Bible is relevant for everyday life and all the challenges we face. Sometimes, we just need to know someone has our back. That someone for me is Jesus. Maybe my articles will be helpful to you. If you are seeking Him, He will be found. Come along and join me as we seek Him in all things! I look forward to sharing Biblical wisdom and counsel with my readers!